Australian jockey Michael Rodd capped a memorable week with a third winning treble on Friday night, including a Group 1 win for good measure. The Rodd rampage began last Friday with King Zoustar, Cracking Tottie and Ottawa, followed by an identical haul the following Sunday with Raffles Cup winner Debt Collector, Gold Reward and Murrayfield. The purple patch didn’t stop there with Rodd bringing up another hat-trick of wins at this Friday’s standalone meeting aboard Centenary Diamond, Cash Is King and Our Pinnacle (NZ) (Pins). On Our Pinnacle, Rodd said Gray had told him the one-time winner in New Zealand might be a little underdone second-up, but his staying ability might still get him over the line. “I was rapt Stephen put me on for the ride. He did tell me he missed one piece of work, but he might still be right as he is a natural stayer and can still finish it off,” said Rodd. “With the horse scratching (Paragon Star), I thought he could go with the pace, but he had to work a little before he found the lead. “He then switched off nicely and he was such a pleasure to ride. I had to wind him up down the hill when another horse (Justice Lass) came next to him. Our Pinnacle was never in doubt once Rodd gave him full bore inside the last 300m. Gray said he was not surprised at all Our Pinnacle had already stamped himself as a Singapore Derby prospect at only his second Kranji start. “There is an interesting story behind this horse. 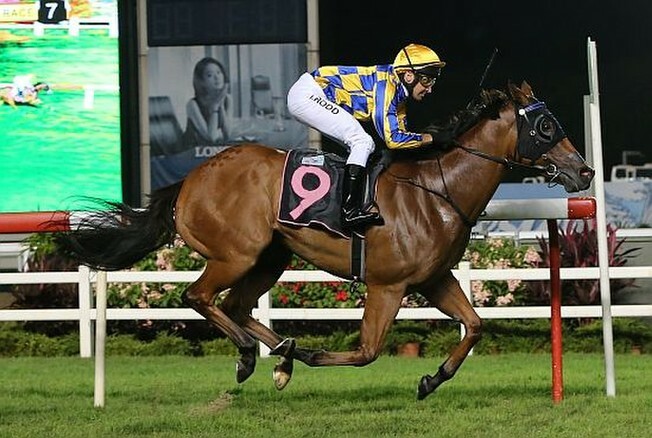 He was trained by Cliff Goss, a great trainer in New Zealand who used to train in Macau and is now past 85, but who is still fit and well,” said the Kiwi handler. “Cliff owned and trained this horse himself, more as a hobby. He had three starts in New Zealand for one win. “One day, we discussed and he said this horse could be a Singapore Derby horse. We got a group together, and raced half of the shares with Cliff. 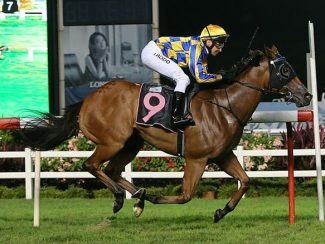 “It’s the same bunch of owners (Rajah Blue A Stable) who owned El Don (former Kranji horse trained by Gray), who has now won two races in Australia for Peter Gelagotis. He went there because he is a 2400m horse and there are no races for him here. “But this Our Pinnacle is a really nice horse, and I knew he’d run well tonight as he ran real super at his first start (fourth to Elise in a Class 4 Premier race over 120m on August 12). “He’s trialled well since. He’s easy to train and he had a good rider on.